Has a smaller vocabulary that peers of the same age? Uses ‘baby talk’ that is immature for their age? Pinches, bites or hit other children instead of ‘using their words’? Seems to not hear (or remember) what people say to them? Finds it hard to play or join in with other kids? Has had lots of coughs, colds and ear infections? Struggles in English speaking environments (if another language is spoken at home)? Has tantrums when he/she can’t communicate what they want or need? Long before your children ever learn to read or write, they develop the talking and listening skills required to understand how language works. Between the ages of 0 and 5, YOU play an important role in helping the language centres of your child’s brain to develop. Do you know what you should be doing to help your son or daughter build the communication skills needed for future learning and social success? 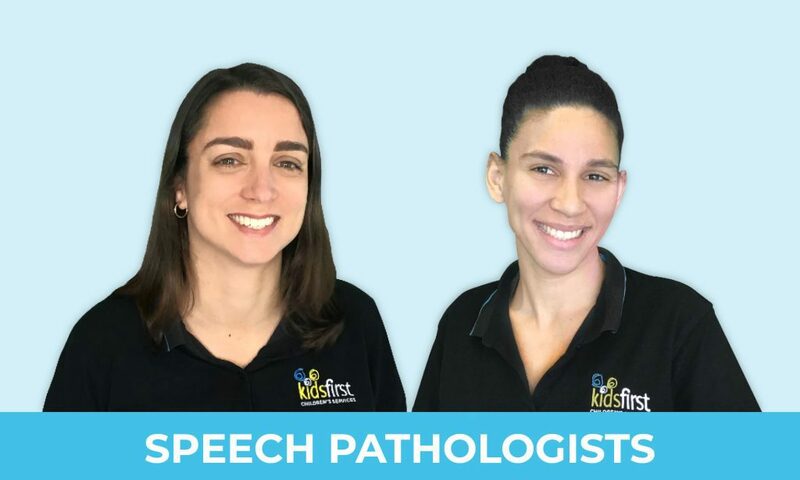 At Kids First’s next free Community Service Seminar, you’ll meet two experienced speech pathologists who support the speech and language development of toddlers and preschoolers. With valuable information, tips and take home resources to share, they will equip you with the tools you need to support your child at home, preschool and in the playground. Felicity is not only a highly experienced speech pathologist, but she is also a busy mum to three children, so she understands the pressures families face as their children are learning to speak, listen and play. In addition to her years of work in private practice, preschools and schools, Felicity has a background in supporting children with hearing impairments, autism and other developmental differences. Felicity is trained in Auslan and has extensive experience with children who have disabilities. Odile has a special professional interest in supporting very young children as they master the art of talking and listening. Odile is bilingual and works with many families who speak more than one language. A multi-talented professional, Odile is a qualified feeding therapist and she also delivers social skills support to children aged 4 to 12. With post-graduate training in Early Intervention, Odile has helped hundreds of late talkers learn to communicate clearly and play more successfully. How to help your preschooler learn to talk, listen and play in a positive way is relevant for parents of children aged 0 – 5. Early educators, preschool staff and teachers who work with young children are also most welcome to attend. If you book a place and fail to attend this event, another family may miss out on the opportunity to participate. Should your plans change, please inform us of your change of circumstances at least 24 hours prior to the event. If you no-show, or provide late notice of your inability to attend this event, Kids First reserves the right to limit your eligibility for future programs.